We would LOVE to hear from you! 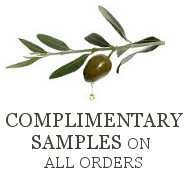 Please email us at olivebranchbodycare@comcast.net with your comments and testimonials. "I love my Rosacea Elixir oil. It has shown to be truly working on my cheeks! So, I got an idea. I have had a sore on my eye lid which has not healed.And it's been over a year! I tried everything. My Dr.said it would go away but it hasn't. I began to put this oil on it as well as on my face 2x a day and it ( the sore) is shrinking and healing. I would rather do this than surgery. Thank you so much for your wonderful healing products!" "I picked up the Strawberry-Vanilla Lip Butter at the street fair this summer and immediately loved it! I've tried countless tinted lip balms and never, ever found one that kept a smooth color and lasted on my lips. I'm happy with the taste, smell and feel -- and the fact that it doesn't irritate my lips AT ALL. I have eczema, and my lips have always been sensitive. So thank you so much!" "Hello! I am over the moon with your products! I've been using the anti acne face wash and elixir (which I've taken to calling my magic potion) now for almost 2 weeks and my acne has cleared up significantly, as in practically disappeared. I've struggled with severe acne and tried everything. And I mean everything. Yet this is the only product I've used that makes my skin feel so good after washing and clean all day! I can't tell you how good it feels to finally be in control of my skin! I'm 24 and still have the crazy hormonal acne that is just angry no matter what I do but this has calmed the storm that was my face and it's an oasis now! I just can't say thank you enough, the world needs to know about the magic you have created! I honestly can't wait to try out more products :) Thank you!! "Thank you again for a wonderful product. I know you hear this a lot, but your products are just magical! The combination of high-quality ingredients and divine aromas make this the one body lotion I keep buying and giving to others." "The Body Butter you gave me for Christmas is the best I've ever used!!!!! So cold and miserable here, but my hands look amazing. Thank you"! "The last order I placed was for a friend who also has psoriasis. He mentioned its working great for him. Also, I wanted to pass this on to you, my boyfriend recently burnt himself. Not bad, just a little one, but it blistered and started peeling. I suggested he try using the foot and body balm. It healed within 24 hours and is barely noticeable. Both of us have worked in food service for a large chunk of time (so we're prone to burns) and we've never seen anything work so fast and with no greasy mess. I'll let you know, maybe it won't even leave a scar! I think you've developed such a fantastic product and I swear by it now. Thanks for all you do!" "I appreciate your products. I think you have a skincare line that everyone should know about. I love the Anti-Aging Eye Gel. It really helps the skin and truly does lighten under the eyes. As an entertainer, we want to look our best, ha, whatever that is." "I remain thankful for your product integrity and purity, and your commitment to providing this wonderful product line!" "I apply The All-Natural Body Balm to my heels and callouses on my feet just like applying lip balm to my lips. I roll it over my feet . Besides it feeling good, my heels have never been smooth like they are with the Body Balm. I actually like my feet now. No other lotion, including natural lotions, helped my feet like the Body Balm has." "I wanted to tell you that I have a new fave product. I love the eye-makeup remover! I was so looking forward to getting it and once I did, I actually looked forward to taking my makeup off! No more stinging eyes like I got from the eye makeup remover pads I'd been using forever. I tried it according to the directions and then adjusted the process a little....I just squeeze a little bit onto a cotton round and spread it around a little bit, then use it directly on my eyes to remove my makeup. Then I use the cleanser to wash the rest of my face as well as my partially cleaned eyelids. I love that it is so soft and it doesn't sting my eyes!" "I just placed an order for some more face wash for Dan. He likes it and it is working great. No more flakey dry skin (even with a beard). It has made a big difference. I don't even have to remind him to use it!!" "Your products are every bit as good if not better than the really expensive stuff. Definitely healthier!" "I also have found the Cuticle, Hive and Scrape Balm to be very effective on hives. Since I am allergic to many foods I use this balm frequently and it eases the itching and swelling immediately. And soon you would never know they were there. I am sold on this! It works great on cuticles too." "I love the Restoring Elixir for my son. He had a rash from the bandaids we used for his cut, the balm was the only thing that healed that up. Just the other day, he had two large hives from handling a kitten. I put some balm on before bed and by the next morning they were gone. I didn't even have to use Benadryl." "I have a new favorite Olive Branch product – the Shea Butter. You know I have really dry skin and I am always looking for products that work for me. I do love the Night Elixir and Night Cream. However, when my face was feeling particularly dry one day I put the Shea Butter on my FACE – not sure it was meant for that but oohhhhh I loved it! Now I put it on my face at night sometimes, (alternating with the elixir/lotion) or in the daytime when I am not in a hurry to put my makeup on. I don’t think it would work to put makeup on right over it. But I let it soak in and it is wonderful – finally my face feels soft and not dry." "...I was traveling a while ago and my lips always get so chapped when I travel. Anyway, I had 5 different lip balms with me in my suitcase from various other trips. One of those lip balms was yours and do you know that was the ONLY one that cured my lips. All the others made my lips more chapped. I had to keep applying more balm with them. Now I realize I totally sound like a commercial but it is true! Good for you!!!" A great story about our Face Wash- "I saw Maggie at the Y and she had your Anti-Aging & Restoring Face Wash. So, she said, here try Joan's Face Wash. OK, nice stuff, face feels nice afterwards. Sooo, I want to order some!" "I have been using the All-Natural Body Balm stick for 6 months on a 4" plaque of psoriasis on my lower back. The results are amazing - the spot is barely visible! It also no longer itches. I am now using the balm on other areas of psoriasis with great results!"